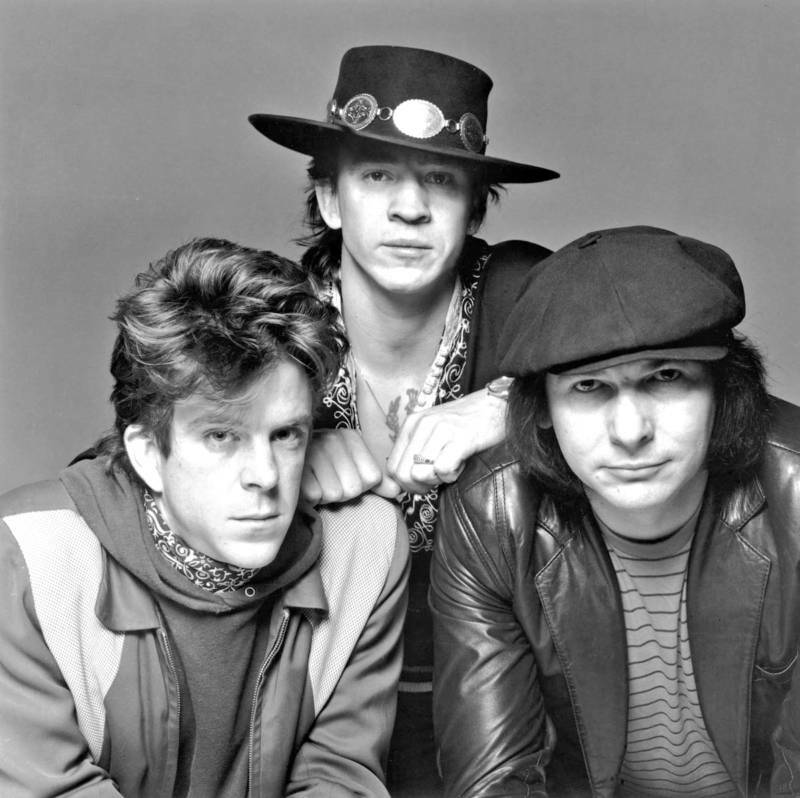 Stevie Ray Vaughan, center and with his distinctive hat, with his band Double Trouble in 1983. 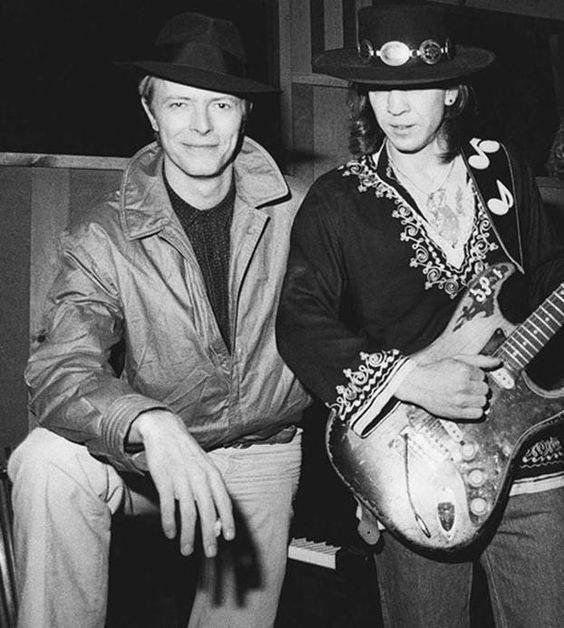 Stevie Ray Vaughan (right) and David Bowie. Deputies arrived at the crash site at 7 a.m. The helicopter had hit a hillside 50 feet from its peak. A report on the accident claimed that no drugs or alcohol were involved and all victims were wearing seatbelts. The report also ruled out mechanical failures and malfunctions. The NTSB concludedthat fog was a factor in the crash, as was the hilly terrain: the pilot simply did not see the hillside. Martha Vaughn, mother of Stevie Ray Vaughn is center. 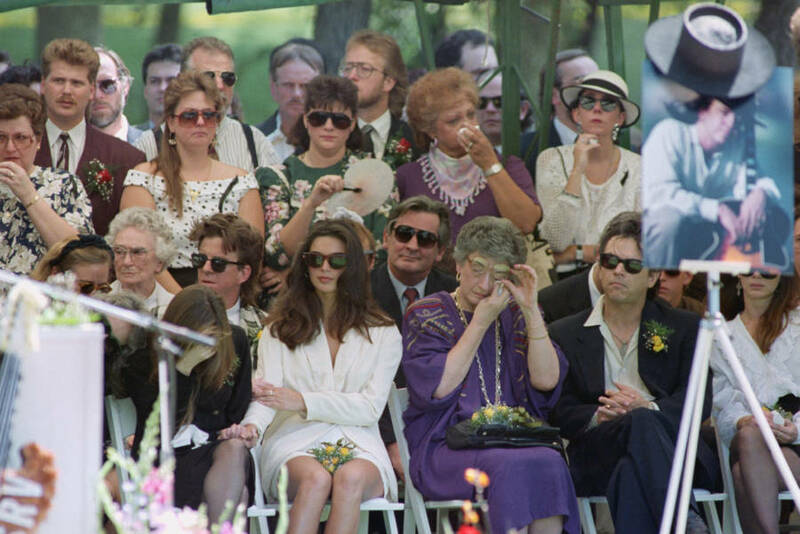 To the left is Vaughn’s girl friend Janna Lapidus, to the right of Martha is Vaughn’s brother Jimmie Lee Vaughn. Tributes and outpourings of grief followed Vaughan’s death. 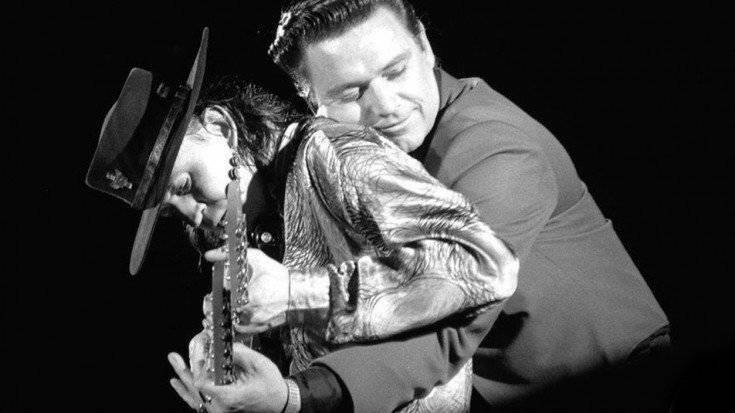 In the spring of 1990, Stevie and Jimmy recorded studio tracks for the album Family Stylebefore going on tour. After its release in October of 1990, two months after Vaughan’s death, sales of the album went through the roof.